If you haven't heard, the National Basketball Players' Union is in a state of serious flux right now. After months of reports that executive director Billy Hunter had abused his powers with regular acts of nepotism and shady contract "negotiations," the union placed him on indefinite leave last week. On Tuesday, Yahoo! 's own Adrian Wojnarowski reported that acting director of the Bureau of Alcohol, Tobacco, and Firearms B. Todd Jones could be the first pick to replace Hunter and head the union. The future is cloudy. There's a power vacuum on the players' side of union leadership, too, with seven of nine spots on the executive committee open after months with no elections. Now that the Hunter situation is beginning to work itself out, it looks like those elections could come relatively soon. Kobe Bryant, acknowledging that the union “looks like a mess,” said it was time for the N.B.A.’s stars to take a stronger role as players deliberate the fate of Billy Hunter, the embattled executive director, and the direction of the union. 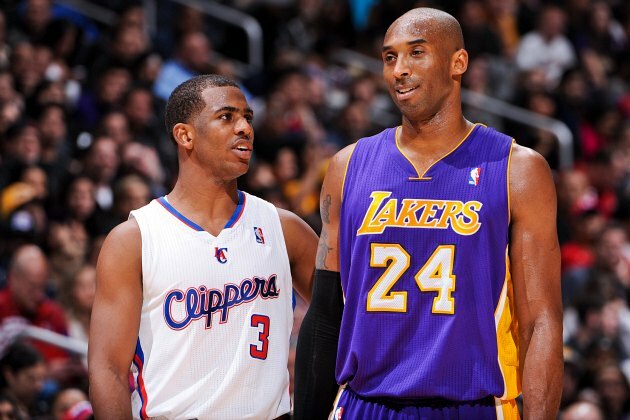 Bryant, the Los Angeles Lakers star, included himself in that mandate and said it was an issue he had been discussing with Chris Paul, the Los Angeles Clippers guard, since the 2011 lockout. The players union has a history of deep involvement by its star players, from Isiah Thomas to Patrick Ewing and Alonzo Mourning. But the leadership jobs — both at the executive committee and player representative level — have generally fallen to the league’s middle class for the last 10 years. Bryant named himself, Paul and Kevin Durant — “the guys who are the face of the league” — as stars who needed to take a greater role now. At the same time, he conceded what many others have: that players in general have been too detached from the union’s day-to-day workings, and too busy with their careers to get involved. It is that laissez-faire environment that some players and agents contend set the stage for Hunter’s alleged malfeasance. Paul was the only star player on the executive committee during the 2011 lockout, and it's possible that the union needs greater involvement from star players simply so the general public pays more attention to the NBPA's cause. On top of that, stars have specific interests that aren't represented by the vast majority of union members but nevertheless have major effects on the state of the league. For instance, the max-level salary tends to set the market for role players and secondary stars. They could also command more respect in negotiations with the NBA, because they're the players that the NBA needs most to grow both domestically and globally. But it's important to remember that the union exists to protect as many players as possible, not just the biggest names. Role players typically take on leadership roles because the majority of the union is made up of players who are, have been, or could eventually be role players. They have a better understanding of what these particular players — employees, rather — need. Plus, the role of a union leader is very, very different from that of the leader of a basketball team. On the court, one player can have an outsized impact on the game simply through his talent and work ethic — he can lead by example. In a union, each vote counts equally, and the role of its leader is often to make sure that each team representative and individual is informed and in agreement with the rest of the union. Solidarity is their greatest asset. It can be an incredibly dull job, one dependent on counting votes and explaining specifics. That's very different than the standard role of leading an NBA team, where big personalities and sustained dominance can reign supreme. A union leader must be charismatic, but he also can't have too much power. When a union works best, the power starts at the bottom, not the top. There's no reason that a star can't be all of these things in a union context. But there's also no reason why a star would be particularly well-suited to this role, let alone the sort of player that must do so. If Kobe thinks he and other superstars have something to give the union it desperately needs — and it's possible that they do, because many of them are fiercely intelligent — they should do it. However, they shouldn't take on that responsibility just because they're used to shouldering a heavy burden on their own teams. It's a different job that requires different skills.